COLLECTING: INFINITY WAR 1-6; FANTASTIC FOUR (1961) 366-370; SPIDER-MAN (1990) 24; DEATHLOK (1991) 16; DAREDEVIL (1964) 310; WARLOCK AND THE INFINITY WATCH 7-10; DOCTOR STRANGE, SORCERER SUPREME 42-47; SILVER SURFER (1987) 67-69; WONDER MAN (1991) 13-15; ALPHA FLIGHT (1983) 110-112; SILVER SABLE & THE WILD PACK 4-5; GUARDIANS OF THE GALAXY (1990) 27-29; QUASAR 37-40; NEW WARRIORS (1990) 27; MARC SPECTOR: MOON KNIGHT 41-44; NOMAD (1992) 7; SLEEPWALKER 18; MATERIAL FROM CAPTAIN AMERICA (1968) 408; ALPHA FLIGHT (1983) 109; MARVEL COMICS PRESENTS (1988) 108-112. 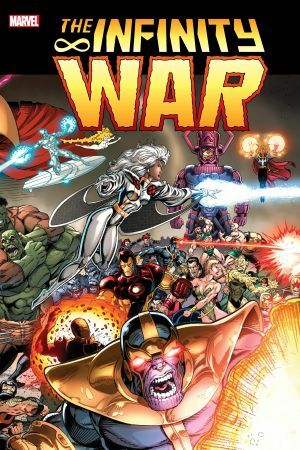 The epic sequel to the Infinity Gauntlet! Adam Warlock's dark half has resurfaced. The Magus is here. And the cosmos shall feel his wrath! As the Magus schemes for ultimate power, an army of evil doppelgangers overwhelms Earth's heroes, Dr. 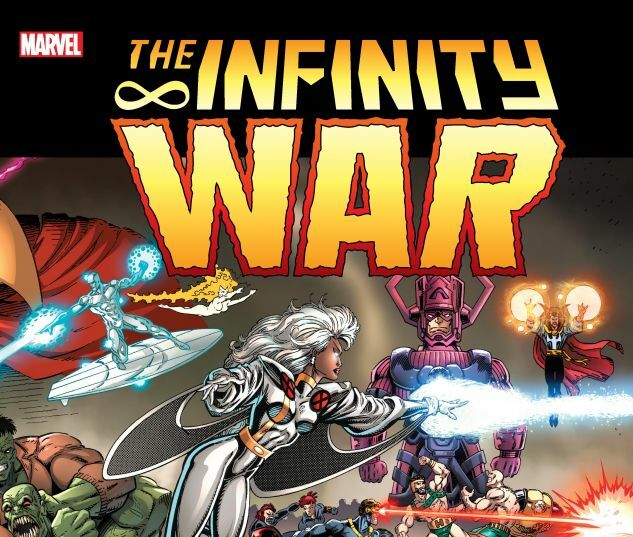 Strange and Galactus seek answers and Thanos enters the fray - alongside the Infinity Watch! Can the Avengers, X-Men and more turn the tide? To defeat the Magus, Eternity must be awakened...and the Infinity Gauntlet reassembled!